TL;DR; Tickets including food are sold until April 9 – get yours now! Organizing a conference means going through multiple stages. The first parts are the most difficult – signing up for a venue, looking for the initial speakers, finding the initial sponsors. Basically, building something out of nothing. This becomes easier over the years, and this, the third year, it has been quite fun. However, since the aim is to grow the event, we always need more sponsors, more speakers and a bigger venue. 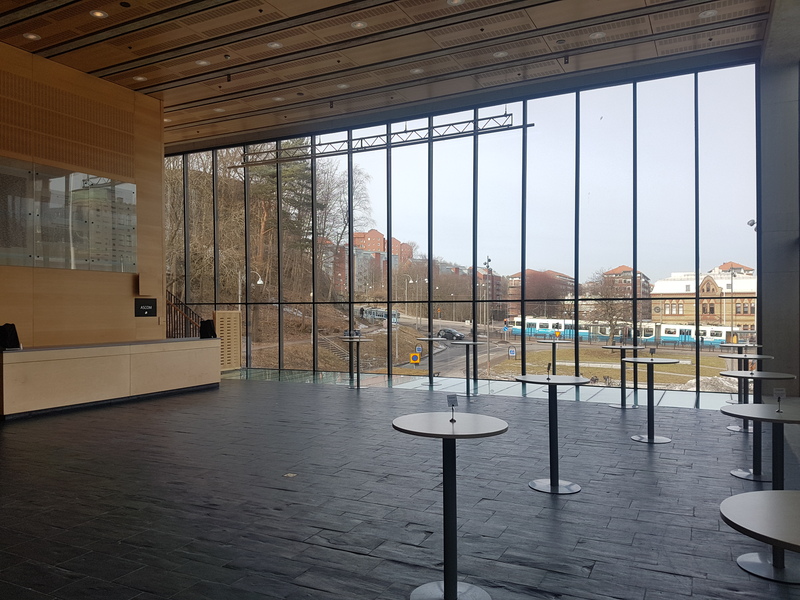 The good thing about this year is that foss-north has passed a point where we can finally afford a venue that we can grow in: Chalmers Conference Centre. 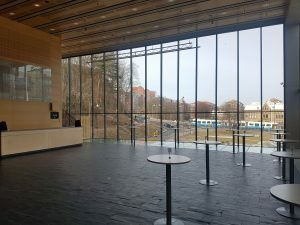 This is ideally located in central Gothenburg at the Chalmers campus where we find a lot of engineering students. From a speaker stand-point, the call for papers also passed some sort of pivoting point, and the contents was almost tripple of what we got last year. This triggered us to move to a multi-day event, opening up half the Sunday (April 22) as well as filling the Monday (April 23) – the schedule looks great. I have a tip to other organizers – don’t go multi-day on a hunch after the event has been announced. It means dedicating a couple of weeks to puzzling. Finding a way to affort the extended venue, having to do ask all speakers which day they can attend, and generally complicating things. Also, I was in kodsnack – a local podcast – which meant that I got approached by Chalmers Robotförening who wants to do a workshop. Of course we will do a workshop! Meaning more planning. One of the things that is causing more concern when organizing conferences is the catering. Catering is great because everyone can eat together and we get a great mingle opportunity and so on. However, catering needs to be preordered and one thing I’ve learned is that people like ordering tickets late. Like, the hours before the event late. I’ve been up at 5 in the morning printing visitors badges as people like ordering tickets late. That means that either I have to jepardize the budget by preordering food for more guests that we have sold tickets to, or risking being short on food. However, this is where the new venue is great, because there are three restaurants in the same building. Thus, the tickets sold this week (until April 9) includes catering, but the tickets after do not. This means missing out on the breakfast, mingle lunch and coffee break – but it means that no-one will starve during the event. So, if you want to take part in *all* the fun, make sure to get your ticket this week. If you can’t make your mind up – there is a solution all the way until midnight before the event.